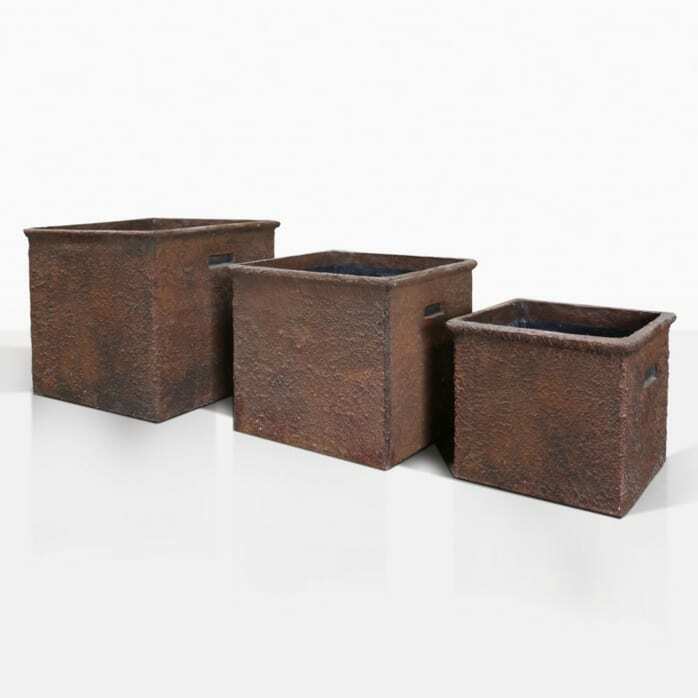 This trio of square rustic pots has a charming old world feel that is earthy and organic. 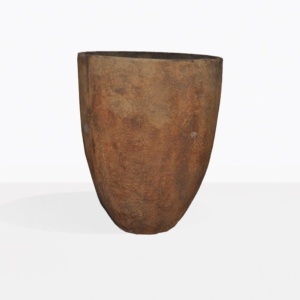 The Square Handle Pots are full of interesting texture that make them unique. The organic vibe is offset perfectly with the rigid square shape, which helps it remain versatile. 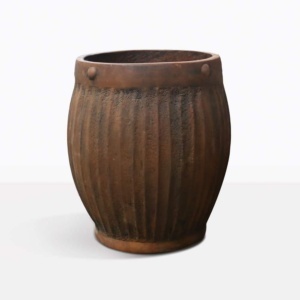 Use them around your outdoor swimming pool cabana, outside your front door, along your entryway or on your deck. 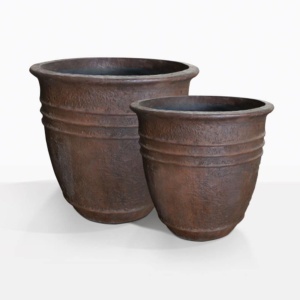 Just imagine them overflowing with ivy or succulents. 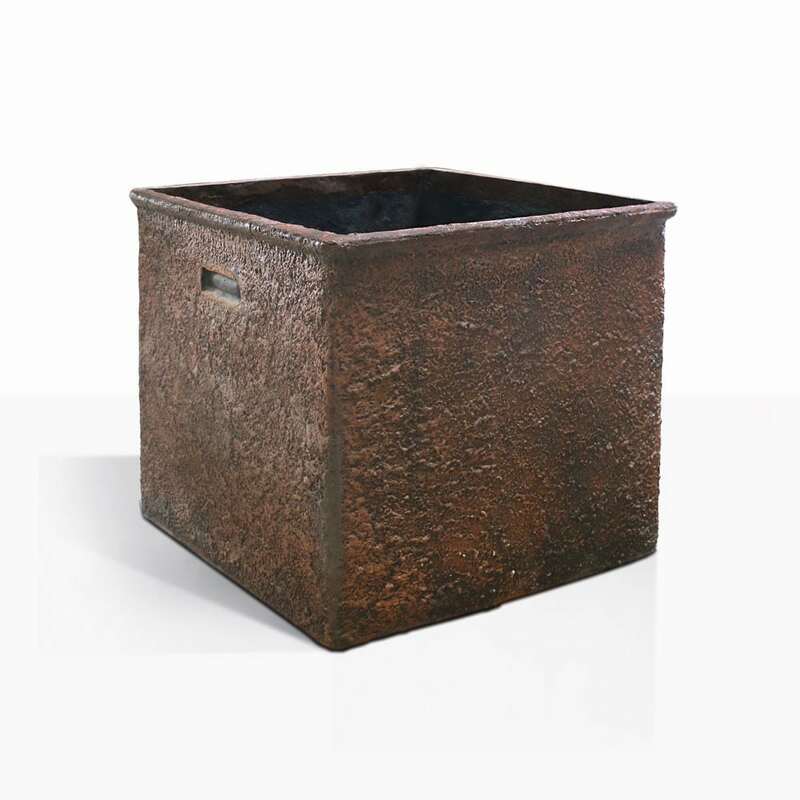 They are made with a concrete blend in a lovely rusty colour.